Can Jared Kushner really innovate VA and VistA? VA has struggled to correct IT and scheduling issues for years, and it looks like those problems have landed on the chief son-in-law’s desk. 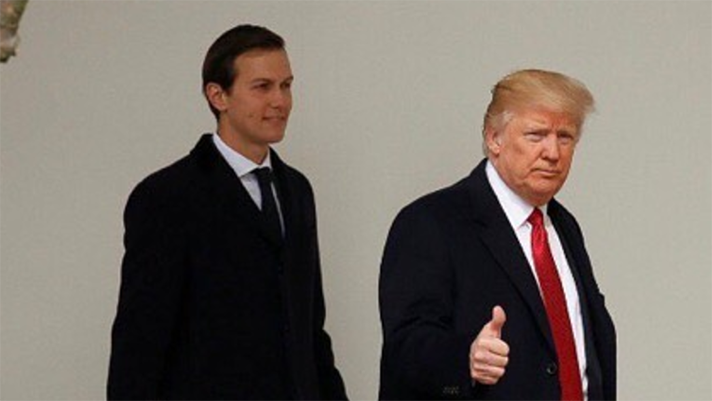 On March 26, President Trump tapped his son-in-law, Jared Kushner, to head the newly created White House Office of American Innovation. The agency, which will run as its own department within the West Wing and will report directly to Trump, will collaborate to implement private-sector business models to spur federal innovation, White House officials said. But topping the organization’s to-do list is reimagining the ailing Veterans Affairs system, which already faces a major tech decision with the overhaul of its VistA electronic health records system. The VA has been attempting -- and failing -- to fix its EHR for years. VA has also been plagued with interoperability issues, specifically with the Department of Defense’s EHR. Initial attempts to become interoperable with the DoD fizzled in 2013, and the DoD has since begun installing a Cerner system across its network. The Government Accountability Office is also fed up with VistA troubles, placing the VA on its High-Risk List in 2017 for the third year in a row. Kusher’s federal think-tank is tasked with bringing innovative solutions to a host of government issues and agencies. But if you look at his task list, to say he has a full plate might be an understatement. Kushner is already the President’s Senior Advisor and has been tasked with criminal justice system reform. Trump has also said Kushner will play a crucial role in brokering a peace deal with Israelis and Palestinians. He’s also been tasked with Trump’s $1 trillion infrastructure plan, the installation of technology and data infrastructure for every federal government department and agency, the nation’s broadband policy and combating the opioid crisis. He’s also the point person for Chinese-U.S. relations. New VA Secretary David Shulkin has already been working with the GAO to address issues, and in March he announced that a decision for the future of VistA would be made sometime in July. That could include choosing a commercial EHR vendor to handle the VA. With tech ties playing so heavily in the new White House innovation office, it’s unclear how Kushner will factor into that. Change can’t come soon enough. In 2015, MITRE said VistA is in danger of becoming obsolete. In its damning 4,000-page report, the group suggested that the VHA and VA perform a cost-versus-benefit analysis between commercial EHRs, continued in-house development or open-source options. Officials, however, may not be holding their breath. VA Inspector General Michael Missal has also called out the VA’s ambiguous policies, inconsistent processes, inadequate oversight, delays, series of questionable decisions and mismanagement by VA senior officials and more.